What Is the Production Line Process? Production lines typically consist of carefully-designed sequences of tasks. The production line process involves many workers, each assigned to a particular aspect of production. Production lines generally have conveyor belts to move items, and specialized machinery to handle different aspects of product creation in a set order. Smaller parts are connected together into sections known as assemblies in the middle stages of a production line process. The specific manner in which a production line process unfolds depends upon the facility and the product or products being made. 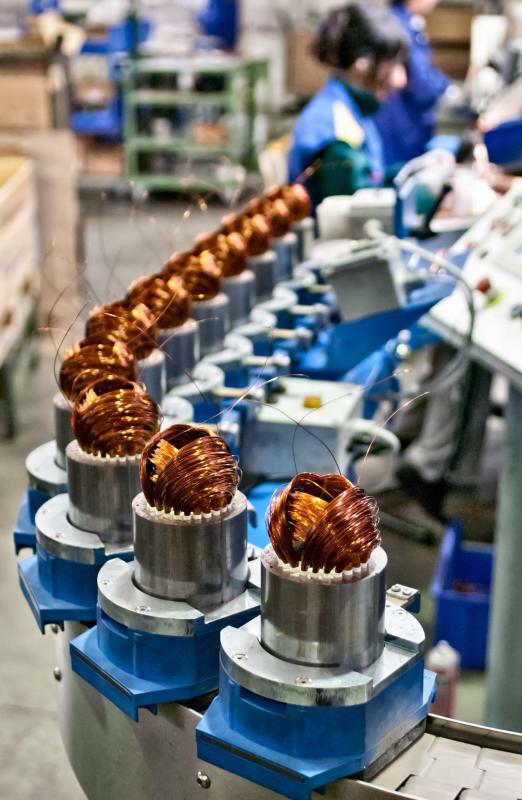 Still, there are several common factors found on many production lines. The process will typically include the use of a conveyer belt to move materials, several different machine and/or manual processes, and different areas for each aspect of the product creation process. Each step of the process must be performed at precisely the right time so that production can keep moving. 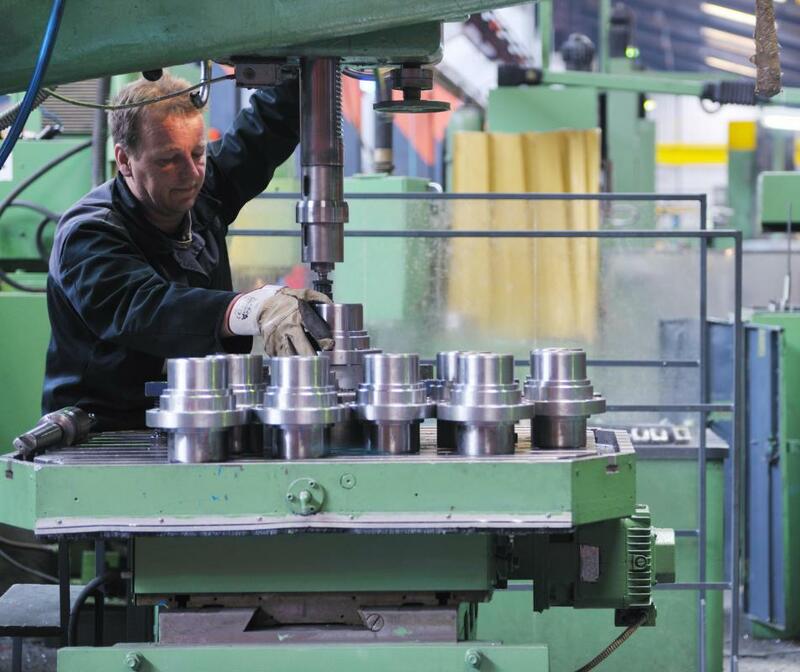 A typical production line process will consist of a carefully-designed sequence of tasks. Each of these must be performed in order. Many companies will continually analyze the production line process in order to find ways to optimize its operation. 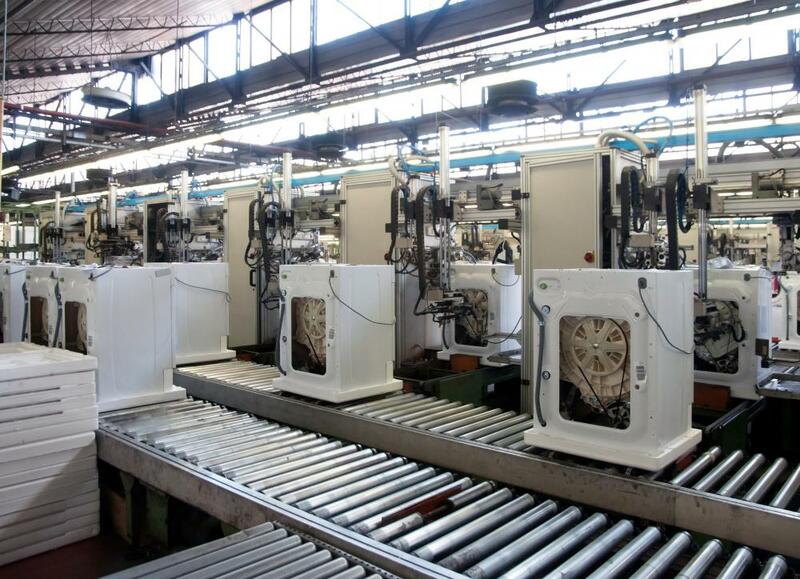 When the production line process first came into use, most tasks were performed manually. As technology has advanced, increasingly more of these manipulations have been performed by mechanical equipment. While there are still several tasks which must be performed by humans, the bulk of their involvement on the production line is to move material into machines, operate machines, and to inspect products and ensure smooth operations overall. Production line processes will often begin with an employee gathering materials from inventory. These are brought to the first station in the production line. There a machine or worker will make the first manipulation to the material. Then it is moved to additional stations, where further machine or human manipulations move the product towards completion. Usually other materials will be added to the product as it progresses along the production line. 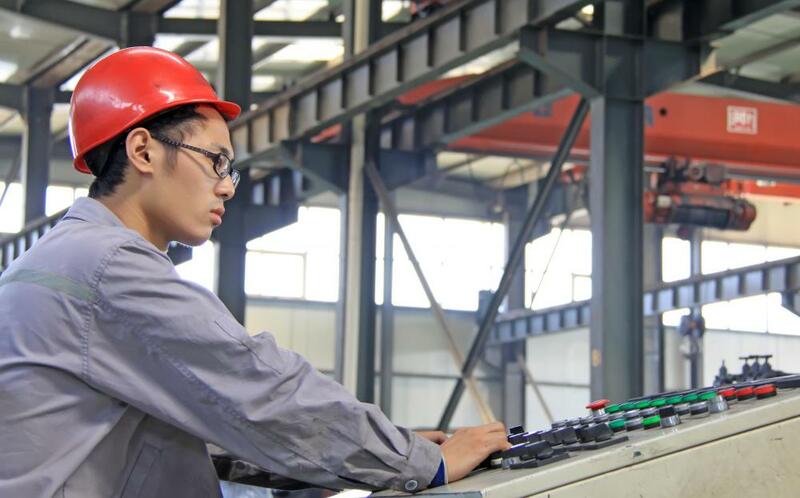 The efficiency of the production line process depends on many factors. Some of the most important include layout and the size of the facility. Production line layout must be engineered so that each task can be performed as smoothly and efficiently as possible. It is also advisable to arrange elements so that they can be easily be rearranged if necessary. Optimum facility size will typically be big enough to hold operations and accommodate some growth, but not so big that it will restrict the ability to move materials and otherwise perform tasks efficiently. Workers are another important element of the production line process. It is advisable to have enough workers to manage the tasks at hand and slightly more in order to accommodate for growth and unexpected incidents such as illness. Effective hiring practices and proper training are also important factors in building an efficient production line. How Do I Choose the Best Production Line Layout? What Are the Parts of a Steel Production Line? What Are the Parts of a Can Production Line? What Are the Parts of a Car Production Line?